Yes, it is possible to drive a supercar with $100K or less now. As I have said before, you do not have to be a millionaire to be able to afford a fast and luxury car. Everyone loves to own a supercar, some for the driving experience and some to feel superior to their neighbours who own a Toyota Camry with an aftermarket exhaust. Even if you do not have $100K or less, it is not a problem now. A lot of financing institutions are ready to make your dream come true. There are two well-known types of car finance: Car Financing and Car Leasing. Last week, I wrote about car finance as well as all the things you need to consider when buying a new supercar. Read about it here. 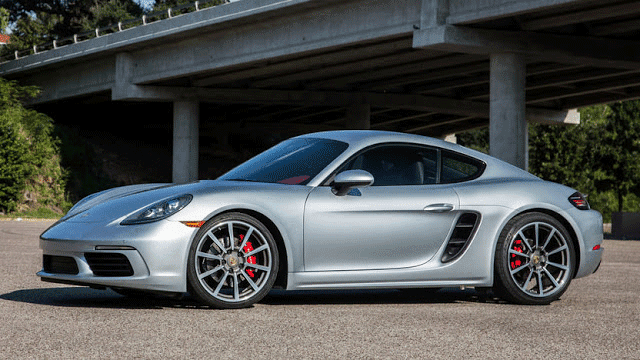 The Porsche 718 Cayman is a mid-engined two-passengers sports car. The rear-wheel-drive hatchback or convertible is powered by a turbocharged flat-4 engine with direct fuel injection. The lightweight supercar makes 295 hp and 280 lb-ft of torque. The car will accelerate from 0 to 60 mph in 5.1s if you go with the six-speed manual transmission and it will do so in 4.7s if you choose seven-speed dual-clutch automatic PDK with manual shifting mode. The Porsche 718 Cayman will reach a top speed of 275 km/h which is very impressive for its price range. The fuel consumption of the Porsche 718 Cayman is as impressive as its price. The car has a combined fuel consumption of about 7.4L per 100 km for the manual and around 6.9L per 100 km for the PDK. The Porsche 718 Cayman, being a lightweight supercar, is very nimble on the track and its steering wheel is precise. You can easily have fun with this one as it is packed with performance without going broke. Enjoy 2 years without mileage limit warranty on your purchase to give you peace of mind. The price of this little beauty starts at only $55,300. The Porsche 718 Boxster is another mid-engined, rear-wheel-drive and two-passengers supercar from Porsche. Under the hood lies 2.0L turbocharged flat-4 with direct fuel injection engine, making 300 hp and 280 lb-ft of torque. The Porsche 718 Boxster will reach 60 mph in 4.4s. It will do a quarter mile in 13.0s at 109 mph. The car will reach up to a top speed of 170 mph (274 km/h). You can get it either with a manual transmission or a PDK. In fact, it has a lot of similarity with the Porsche 718 Cayman. Maybe, the most obvious difference between these two is the fact that the 718 Boxster is only available as a convertible. Porsche said that this car has a fuel consumption of 24-28 mpg but around 19 mpg was recorded during testing. Enjoy the same warranty also as the Porsche 718 Cayman. 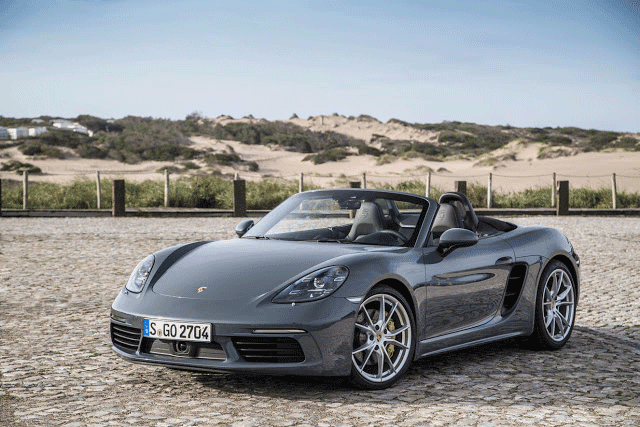 However, the Porsche 718 Boxster has a starting price of $57,400. The Chevrolet Camaro ZL1 is the newest addition to the Camaro family. The muscle car or pony car are some of the ways people categorise the Camaro. 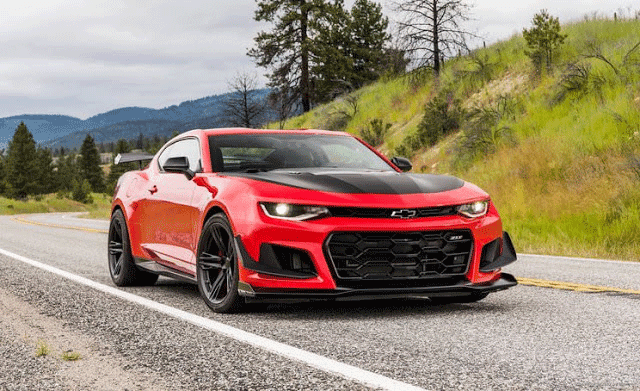 This new ZL1 is powered by a 6.2L supercharged V8. The engine makes 650 hp and 650 lb-ft of torque. Impressive, uhm! You have the choice between a six-speed manual gearbox with Active Rev Matching and an all-new paddle-shift ten-speed automatic transmission. There has been a great increase of aerodynamics around the car and it also broke a record at the famous Nurburgring. The Chevrolet Camaro ZL1 will do 0 to 60 mph in just 3.5s and it will do a quarter mile in 11.4s. The rear-wheel-drive supercar has a top speed of 200 mph. The car is packed with features and performance that will make you want it more and more. A full in-depth review of the Chevrolet Camaro ZL1 has been written previously. If you want more details about it, click here. With all the numbers in mind, the Chevy Camaro ZL1 seems like an expensive supercar but it is completely the contrary. The price for this beast starts at only $62,000, which is a great bargain according to me. The Porsche 718 GTS is another mid-engined and rear-wheel-drive supercar from Porsche. The car uses a 2.5L turbocharged boxer-four engine that revs up to 6500 rpm. The 718 GTS is very light and its handling is impeccable. The car responds fast to your inputs and it gives you the feeling that it wants to go faster and further each time you change gear. The engine makes 365 hp and 309 lb-ft of torque with the manual transmission and 317 lb-ft of torque with the PDK. The Porsche 718 GTS will do 0 to 60 mph in 4.4s with the manual transmission and 3.9s with the PDK. The car has a top speed of 180 mph (290 km/h). The Porsche 718 GTS has a combined fuel consumption of 21 mpg for the manual and 22 mpg for the PDK. Also, you have a 4 years or 50,000 miles warranty including 24-hour roadside assistance program. The price of the Porsche 718 GTS starts at only $79,800. The Chevy Corvette Z06 is one of the high-performance sports car produced by General Motors. This car is very capable on the track. Every time, you get into one, it will always impress you, both with its amazing handling capabilities and its performance. It was designed to be the driver's car as Chevrolet says. 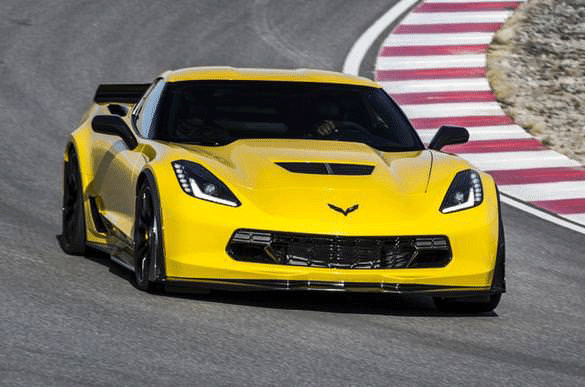 The Chevy Corvette Z06 is equipped with a 6.2L supercharged V8. The massive engine has 650 hp and 650 lb-ft of torque. The rear-wheel-drive car will reach 60 mph in only 2.95s. Now tell me that is not impressive! The car will achieve a top speed of 205 mph (330 km/h). Inside the Corvette Z06, expect to find carbon-fibre and leather mostly everything. The car is also packed with crazy features and technologies not only to make you go faster but to give you the luxury feeling at the same time. The Chevy Corvette Z06 has a combined fuel consumption of 16 mpg, which is very good considering the engine on this car. And yes, this insane supercar costs less than $100K. In fact, prices start at around $80,000. The Dodge Viper is another amazing piece of automotive. This rear-wheel-drive monster is undeniably one of the most loved sports cars on the market. The Dodge Viper is powered by an 8.4L V10. The engine makes a shockingly high amount of power. 645 hp and 600 lb-ft of torque to be exact. Good news also for manual lovers. You can get this car only with a six-speed manual transmission. 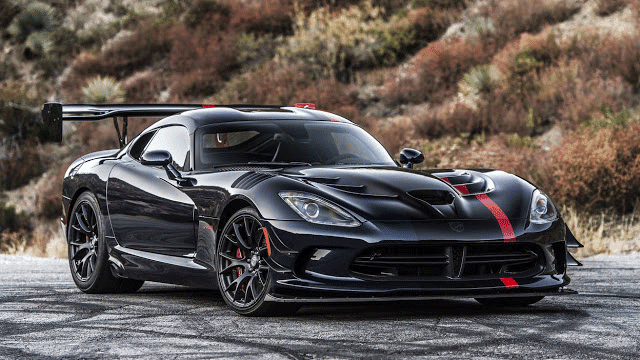 The Dodge Viper will reach 60 mph in 3.5s. The car has a top speed of 208 mph (332 km/h). The fuel consumption combined is about 16.3 mpg, which is great again for such a powerful car. The average asking price for one of these is around $87,895. The Porsche 911 Carrera is not only a rear-wheel-drive car but it is also rear-engined. Being a Porsche means that the handling is on another level and the car has very few body rolls. On an overall, the 911 Carrera can be a track weapon. The rear-mounted engine makes 370 hp and 331 lb-ft of torque. You can get yours either with a seven-speed manual or a seven-speed PDK. The manual will reach 60 mph in 4.6s while the PDK version will do so in 4.2s. 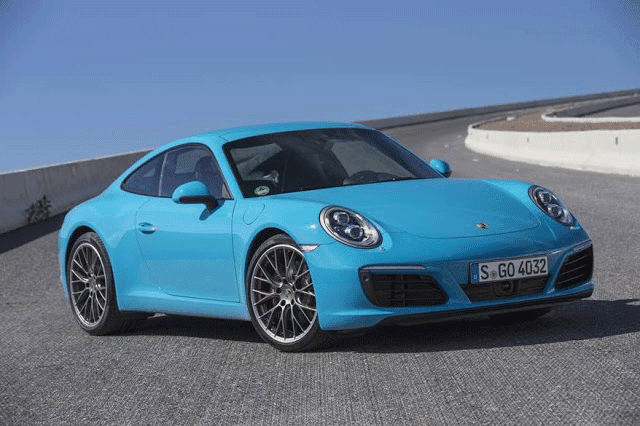 A top speed of 183 mph (295 km/h) was recorded on the Porsche 911 Carrera while testing. The Porsche 911 Carrera has a combined fuel consumption of 8.3L per 100 km for the manual and 7.4L per 100 km for the PDK. The car also comes with a 2 years no mileage limit warranty like the other 718 models. While hearing 911 Carrera, what comes to your mind, is a very expensive Porsche only the very rich can afford. But this is not the case here. The Porsche 911 Carrera starts at only $90,395. The Jaguar F-Type SVR is one of the best car Jaguar has ever made and also it is the most powerful car in the Jaguar World. 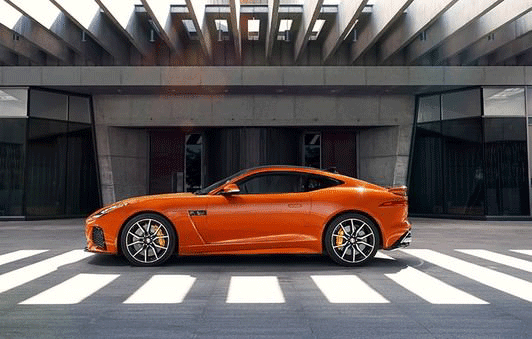 This car is simply beautiful at every angle and we can say that Jaguar has succeeded in creating a sports car. It is a front-engined and rear-wheel-drive or all-wheel-drive car. The Jaguar F-Type uses a 3.0L supercharged V6 that makes 375 hp and 339 lb-ft of torque. The car will accelerate from 0 to 60 mph in 4.8s. The car that fits the list here is fitted with a six-speed manual transmission. The Jaguar F-Type can reach up to a top speed of 171 mph (275 km/h). The car has a combined fuel consumption of about 11.9L per 100 km. If you decide to go for this option, prices start at $95,810. 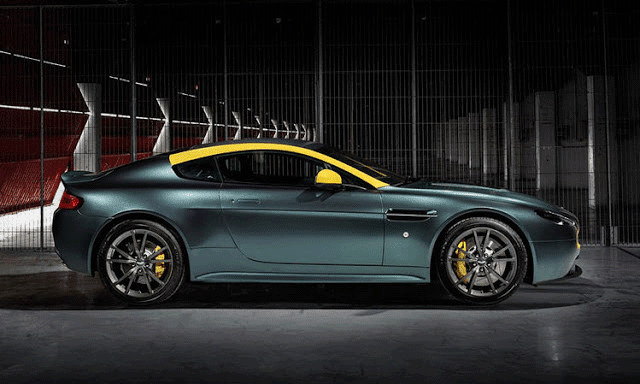 The Aston Martin Vantage GT is inspired by racing cars. It is the most dramatic supercar that Aston Martin V8 has ever created. The Vantage GT is based on the same chassis as the GT4 Challenge race cars and there is no doubt that the car will have a thrilling performance. The Aston Martin Vantage GT is powered by a 4.7L V8. This engine makes a whopping 430 hp and 361 lb-ft of torque. This helps the car to reach 60 mph in 4.6s. The front mid-mounted engine and rear-wheel-drive car has a top speed of 190 mph (305 km/h). The Aston Martin Vantage GT comes equipped with either a seven-speed automated manual transmission or a six-speed manual transmission. Aston Martin is not reserved for only James Bond now. You can also afford one. The Aston Martin Vantage GT has a starting price of $99,900. The Nissan GT-R is a high-performance sports car produced by Nissan. We all know how impressive of a car the GT-R is and it needs no introduction. Under the hood lies a 3.8L twin-turbo V6 that produces 600 hp and 510 lb-ft of torque at 6500 rpm. This will skyrocket the car to 60 mph in just 2.9s. The Nissan GT-R has a top speed of 191 mph (307 km/h). The all-wheel-drive Godzilla (as it is widely known as) has a six-speed dual-clutch automatic with manual shifting mode transmission. The Nissan GT-R has a combined fuel consumption of around 19 mpg. The Godzilla made it to the list of cheap new supercars and how? 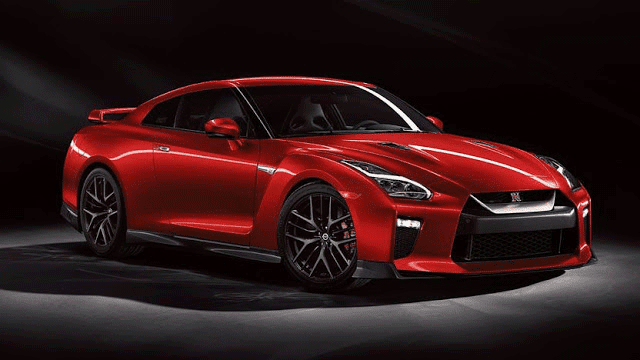 Well, the starting price of a brand new Nissan GT-R is just under $100,000. So, with less than $100K, you can literally get a Godzilla in your driveway. Well, there you have it, the top 10 new supercars that cost less than $100K. You can own a supercar without being a millionaire. But make sure to take into consideration all the other costs associated with a supercar. I have previously written a blog about 10 things that you need to consider when buying your first supercar, you can check it out to get a better understanding of the whole buying process. Also, there is another major thing you need to understand well before your purchase and that is insurance. Supercar insurance in some ways differs from normal car insurance. To get an overview of how the whole insurance process works, check out Supercar Insurance | How much it costs, types of insurance. If you know someone who will be interested in this blog, please do share it. If you have any questions, tips, recommendation or something else, feel sure to write down in the comments section and I will try my best to reply to them. Would like the Porsche 718 Cayman and the Aston Martin Vantage for casual city driving. On a longer trip would take the Chevrolet Camaro ZL1. 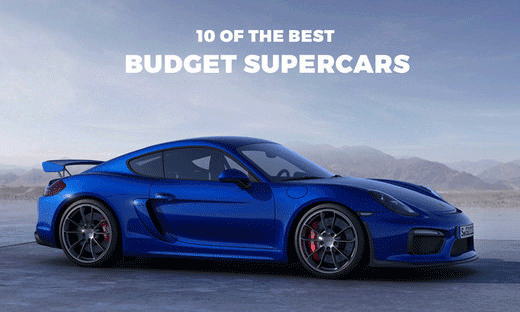 Porsche probably holds their value long term the best on this list.